Extra fees for documentation: APA’s position is that filling out paperwork is part of the purchase of buying a car, and should be included in the price. In all cases the fees listed below were not mentioned in vehicle advertising, but tacked on at the dealership. APA allowed up to $300 in extra fees. Dealers that added more than $300 in fees were awarded a Fail. Lots of good-looking inventory, with a concentration on high-end makes. BMW, Mercedes, Infiniti, Acura and Honda are all well represented. The seller warns the shoppers that the VW CC only seats four (nice touch). It has the balance of the factory warranty. When the shoppers inquire about winter tires for the large 19” wheels, he offers to try to do something extra for them. For $300 he can get a set of four good used tires installed so the car is delivered ready for winter (another nice touch). The Rogue is a local, accident-free car. APA’s expert says both vehicles are in very good condition. The tires on the Rogue are worn out. Lots of older vehicles, none appears obviously bad. Low, negotiable all-in prices. On the Corolla, the seller correctly discloses two small accident claims for $2,777 and $1,555, most recently in March. The car was purchased wholesale from a local Toyota dealer, and servicing performed including the brakes. The G 37 is a local car purchased wholesale from a local dealer. The APA expert notes the G 37 has a lot of wear for the indicated mileage of 74,000 km. The leather on the steering wheel is shiny, the carpet has visible wear in the driver’s footwell, and it has been fully repainted. A subsequent history search confirms the represented mileage. The seller could offer the G37 for $14,500, and the Corolla for only $8,000. Cars are sold with a 3-month power train warranty. A pre-purchase off-site inspection is “no problem”. A curbsider is a person in the business of selling vehicles for a profit, but passing himself off as a private individual selling their personal vehicle. Curbsiders are usually not licensed, so beyond the reach of most of the oversight by regulators. This visit earned a Fail because the curbsider misrepresented himself as the owner. The curber’s location is an outdoor parking lot behind an apartment building shared by the tenants. A few vehicles appear to have no license plates. The seller tells the shoppers he and his wife are both selling their SUVs, as they don’t need them since moving to Kitsilano. They are sharing one license plate between both vehicles to keep costs down. The APA expert determines that both vehicles are clean and free of any significant collisions – that’s unusual for a curbsider. Their engines have been shampooed. The 4Runner has been sprayed with a tarlike substance underneath, to hide a possible rust issue. Its rear brakes are worn. History Reports supplied by CarProof reveal that both vehicles are recently from Quebec. Their last recorded mileages when leaving Quebec are consistent with the mileages showing on the day APA shopped. Lucky 8 was the worst dealer of the investigation. This dealer ran materially different ads in English than in Chinese. When APA translated the ads for the Legacy and Rogue appearing in the EasyTradeWeekly, a Chinese language paper, (Issue 34, October 13, 2012), they indicated “no accident”. In English there were no representations to that effect. The seller misrepresented a 2012 Nissan Rogue as written off due to hail damage in Alberta, and purchased by Lucky 8. The dealer did not disclose it had sustained a major frontal impact only weeks earlier, as indicated in the CarProof report. APA’s expert determined the hood has been replaced and there was evidence of bodywork and painting over the roof, doors, front bumper and quarter panels. According to the expert, the hail would have to fall sideways from the left and from the right for all those panels to be damaged due to hail, which usually attacks horizontal surfaces only. According to the dealer, the car had been involved in a rear-end collision and only the bumper and trunk were replaced. “This car has no manufacturer’s warranty. We bought it from ICBC and fixed the back… It’s an ICBC total loss… If the repairs are too much, ICBC pays off the car and the customer buys another.” The dealership works with two body shops for collision repairs, and has an on-site body person for minor repairs. According to the seller, they had bought the write-off from ICBC and sent it to repair, after which it received two ICBC approved inspections. The APA expert said the point of impact was near the front, concentrated on the right side of the vehicle. The trunk was original. His report shows the car was involved in a massive frontal impact and likely spun and hit both sides. During the road test, the temperature needle went off the scale past the red zone. The gas gauge showed half full, but the warning light for “Empty” was on. A loud noise from the rear was indicative of a bent wheel rim or damaged wheel bearing. The inspection at an APA-recommended shop revealed major structural damage to the front that was poorly repaired. Structural defects included a badly straightened frame rail on the right side camouflaged with body filler. The radiator support had been crudely hammered back into place. The rear suspension was a used part from another car with a damaged right-side brake backing plate. There was an open weld around the front left strut tower. APA’s expert determined that the front right subframe rail may still be shorter than the left side due to the forces sustained in the impact. According to the APA expert, the car should not have been put back on the road in that condition. 1. The front fenders, front bumper and grille, and right-side doors have been replaced. The trunk is original. 2. 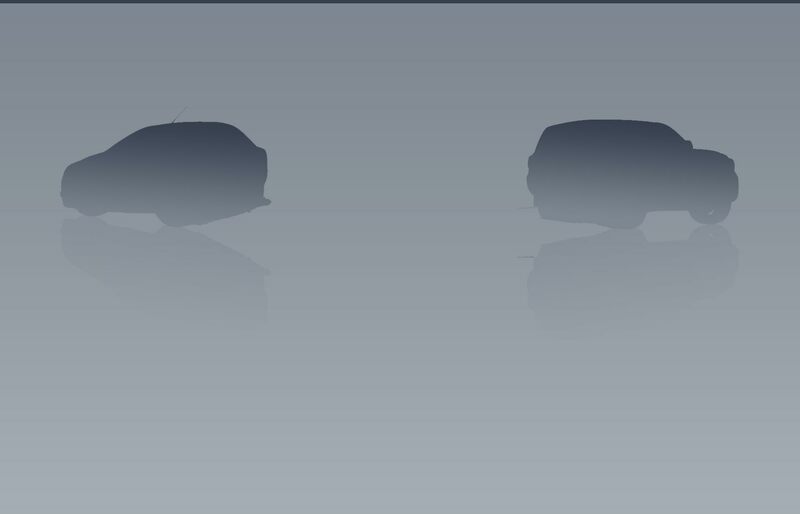 Body filler in the doors and both rear quarter panels (indicates collision repairs in those areas). Entire right side has been repainted. 3. *Front frame rails damaged from the impact and repaired, still damaged on the right side. *Open weld (1/4” gap) on the left-side front strut tower. 4. *Hood hinges welded (they should be bolted). 6. The right front suspension lower control arm has been replaced. *It appears to be misaligned due to the unrepaired frame damage. 9. *Fuel gauge and low fuel warning light do not correspond. 10. *Engine temperature gauge indicates overheating. 20. Rear suspension replaced with entire assembly from a used car. *Right side brake backing plate is damaged. 21. *Vibration and noise during road test, possibly from a defective wheel bearing or tires, or a bent wheel rim. W5 obtained the paperwork that revealed the Legacy had undergone two rebuild inspections under the authority of the CVSE. On August 28, G.N. Autobody, 3901 2nd Avenue, in Burnaby performed a Structural Integrity Assessment Report. The report has several omissions: not one of the diagrams showing the location of the damage has been completed, even though the extensive damage to this vehicle would have required entries on all four diagrams. The word Pass is circled once at the top of the column – all the check boxes below are empty. None of the defects noted by APA concerning open welds, bad welds, and unibody integrity are noted. The second, mechanical, inspection missed the temperature gauge registering hot, non-working headlight, damaged backing plate, welded hood hinges. The seller is careful to check the file on each vehicle before making any declarations about prior collisions. He takes care to read the complete information in the file to the shoppers. The Impreza is from out of province, and he doesn't see any claims in the file. The white CR-V is from Regina and has had a few claims: $1120 in 2011, $2900 in 2008. Small crowded lot. The dealer has more inventory available at an offsite storage facility. The dealer says “Nobody knows CarPages… I was driving them traffic, they never did anything for me.” He has a link on craigslist and built his own website. The dealer buys a lot of cars at Richmond Toyota in “packages” of 5 to 10 vehicles, and advertises them cheaper because of the accidents. “That 2009 BMW with 60,000 km has a declared comprehensive claim for damage to the roof; a tree fell on it causing $10,000 worth of damage. It's a local car with no collisions.” He later checks the car’s file and discloses a comprehensive claim for damage to the roof of $10,584 and one for the windshield for $900, both in 2010. On the BMW, the APA expert confirms the trunk, hood, and both bumpers have been replaced and all the left side has been worked on. The damage could have been caused by a falling tree. The vehicle history report confirms the amount of the claim. “No problem” having the car checked. The Matrix had passed a safety inspection at Richmond Toyota. This dealer failed on account of the high DOC fee not listed in their ad. Most vehicles on the lot are 2003 and older. There a two 2009s, and four 2006 vehicles including a BMW, Civic, Camry and a Hummer. Cars are bought in packages from new car dealers that have taken them in trade. “We keep the better ones and get rid of the junky ones.” The dealer says insurance write-offs have to go through an inspection before they're put back on the road. ICBC boosts repair costs to write vehicles off. The seller correctly disclosed the Accent has been rebuilt. APA’s expert determines the hood is from another car and the hood safety latch is not engaging properly. The front fenders are aftermarket replacements (normal for a rebuilt), the radiator has been replaced. Later, the dealer shows the paperwork. The inspection report indicates the hood safety latch has been inspected and is working correctly. All cars come with a six-month power train warranty including seals and gaskets from Global Warranty; it’s possible to upgrade coverage for $450. The dealer can arrange financing but he recommends a line of credit as less-expensive if the shoppers have one (good recommendation). The dealer also says he'll likely be able to offer a car loan at a lower rate than a local branch of the shopper’s bank (likely true). An on-site inspection by the BCAA is permitted. The high $495 DOC fee was posted on vehicles at the lot, but not mentioned in the ad. It accounts for the failure. After the dealership learned of the results from W5, they decided to drop all extra fees. Had this been the case on the day of the visit, the dealership would have been awarded a Pass. Nice-looking facility, with an exceptional selection of hard-to-find recent models at competitive prices. The selection includes both domestics and imports, and cars, trucks and SUVs. “We get them from the US that’s why we can sell them cheaper.” The ad also says they are a car rental, finance and body shop operation. The high $495 DOC fee is posted on vehicles at the lot, but not mentioned in their ad. It accounts for the failure. 2007 Matrix: The dealer declares this is a front-end hit. “This is a frame-damaged car for sure.” “It's rebuilt, this means a new bumper, hood, fenders, radiator.” The seller opens the hood to show which parts were replaced and the location of the structural repairs to the passenger side inner panels and strut tower (nice touch). The seller correctly points out that the resale of a rebuilt vehicle could be a problem unless you keep it for a long time. The APA inspection of the 2010 Prius reveals the fenders, hood, front light boxes, radiator and bumper have been replaced. The two left doors are repainted (some under-reporting by the seller here). The 2010 Prius is a US car, so Toyota cancelled the warranty on it. The 2010 is selling for about $4,000 less than a local car. The dealer says Toyota cancelled the warranty on the US vehicle because it wants to discourage cross-border shopping for cars (a possible misrepresentation, as Toyota will honour a US warranty in Canada, if there are no incidents reported that would void the warranty). The dealership permits a pre-purchase inspection. They prefer BCAA because “regular mechanics want to sell you a car.” They always claim to know somebody selling a similar car that is better (correct, this sometimes happens). Good selection of vehicles. The Versa and Fiesta are clean, B.C. cars. With Basant Motors, the inventory at this dealership was in the best overall condition seen during the investigation. The selection included Honda Accords and Civics, some Toyotas, Ford cars and trucks, and a Fiat 500. Knowledgeable salesperson who accurately disclosed the history of the vehicles she was selling. The dealer permits an inspection at a location chosen by the buyer. Lots of US vehicles. The inventory includes Mercedes-Benz, a Ford Explorer, Mazda Tribute, Nissan Pathfinder, Toyota 4Runner, 10 Altimas, 3 Versa subcompacts and half a dozen Mazda 6’s. Vehicles are nicely detailed. (Also for sale, a 2001 Acura Integra for $5995 with a bent unibody – it was too old for inclusion in this report.) The APA expert reports that almost all cars are clean. A man in the shop is repainting the bumper on a car. All the vehicles in the ads APA checked have been sold. “Don't ever look at CarPages; these guys never take anything off because they want the traffic. These are cars I sold six months ago.” The dealer recommends Auto Trader or craigslist. The seller represents the 2011 Toyota Sienna as having about 27,000 miles on it and is originally from the US. It’s a single owner vehicle with no accidents (confirmed by the APA inspection), with the full factory warranty. Financing is available at a bank rate depending on the buyer’s credit score, from 5.5 to 8% (the dealer will be making a commission at the higher rate). On the 2006 Corolla, the seller disclosed a rear impact. The APA expert’s inspection confirms the Corolla had been rear-ended, with about 6 inches of intrusion into the trunk floor. The trunk lid, bumper and light boxes were replaced; the floor had been pulled back. The back wall of the trunk is rusting under the plastic cover. Under the hood, the water pump is leaking a bit of antifreeze, and the timing cover is leaking oil (both are common with this model). The tires are worn on the shoulders. The CarProof report shows three small-to-moderate claims, including a rear impact in 2006. The APA expert says virtually every car on this lot has been hit. The dealer says all hit cars are purchased from ICBC. After they are repaired, ICBC inspects them, and the dealer can show the photos of the work to the shoppers. On the Fit, the dealer reports damage the right front; the hood, the bumper, a fender and headlight were all replaced to pass a full inspection, and a wheel alignment was performed. The tires and steering are all “within parameters”. The frame was not damaged and the airbags were not replaced. This car has six airbags and none deployed, as most of the air bag sensors are situated on the frame which was not touched. “The things most important on the car were not damaged... Most sensors are situated on the frame.” Because of the accident history, the price is lower than market value. The dealer informs the shoppers they will obtain a lower price when they resell the car (good information). The dealer offers a six month warranty with full coverage. The dealer permits an on-site inspection by BCAA. The Fit is taken for a test drive and the inspection captured on W5’s cameras. The car sustained a severe right front impact. The bumper, hood, both fenders have been replaced. The right side subframe rail is damaged from the strut tower to the front. It has been straightened, very crudely re-welded and damage concealed with body filler. The hood is missing a bolt on the right-side hinge (it will shear more readily in a collision, with a risk of slicing the windshield). The right fender lines up very poorly with the hood and A-pillar (indicative of potential dimensional irregularities in the structure underneath). There is liberal use of body filler in the front doors and right-side A-pillar. Most of the car, including the front, sides and part of the roof, have been repainted. It’s running on three different tire makes. The left rear tire, a Toyo Spectrum is worn out, which should have been flagged during the wheel alignment. The APA expert concludes the car is not roadworthy in its current condition. The CarProof report indicates this vehicle was involved in three collisions (one minor). The record does not appear to be complete, as the car has not yet been certified after the inspection. W5 obtained the CVSE Structural Integrity Assessment Report completed at Speedier Auto Body Shop Limited, 12507 80th Avenue, in Surrey, and wheel alignment at C.K. Auto Services at 13112 84th Avenue in Surrey. The diagrams on the form are incomplete; one diagram indicates a front impact, but does not show damage going as far as the windshield, nor damage to the side of the vehicle. The inspection started on September 26, 2012 at 15:20. It was completed two days later on September 28 at 10:30 (unusual but not of itself a sign of poor work). The inspector passed the Handle Bars on this car (there are none -- that would apply to a motorcycle), and the tires (worn and mismatched). He passed the hood latch without flagging the missing hinge bolt. According to APA’s expert, the Elantra Touring GLS had both fenders, the bumper, hood, headlight boxes, radiator and condenser replaced. The windshield has been replaced. According to the CarProof report, the Elantra Touring was involved in impacts at the right front, left rear, and finally left front, which resulted in a write-off, salvage and eventual rebuild. The Elantra sedan was written off subsequent to a right-front impact, according to the CarProof report. The Civic was written off after a rear impact according to the CarProof report and has a salvage rebuild status. This dealer specializes in recent-model, collision-damaged trucks, sometimes from out of province, sold at below-market prices for clean vehicles. Repair quality is variable, generally poor. The dealer under-reported pre-existing damage. 2012 Civic: On the first visit the, seller demonstrated the seat height adjustment for APA’s small shopper (nice touch). “We bought this one from ICBC. The previous owner was involved in an accident in the front center. “They replaced the grille and bumper. I believe the hood is original… ICBC had the vehicle fully inspected; they also did the frame and alignment reports. It passed inspection so it's just like any other vehicle you buy on the market. This vehicle will go another 20 years… Since it's got an insurance claim, Honda won't give a warranty on this one. The vehicle is sold as-is. You can get up to two years power train warranty” (from an aftermarket warranty company). APA’s expert determined the Civic underwent a major frontal impact with air bag deployment. The fenders, hood, bumper, radiator, condenser and light boxes were replaced. There was structural damage. The seller provided misinformation on the following items: ICBC does not inspect a rebuilt vehicle. His poorly rebuilt Civic is not like any other vehicle on the market. He underreported the damage from the collision. Honda does not cancel a warranty because of an insurance claim. “The Tacoma is a 4 x 4, it's good off-road. It’s also available as-is or with a two-year power train warranty for $1299.” Other dealers would mark it up to $3500. APA's expert identified major structural damage on the blue Tacoma due to a side impact. The right frame rail has been pulled out and rebuilt. The fender was replaced, the bumper and radiator too. The left-front light box has moisture in it. The windshield has been replaced. The suspension is painted black (new parts) and blue (not masked during body repainting). The seller declares that even original headlights have moisture in them that dissipates after they’re switched on. APA’s expert says that, as equipped with the TRD package, the Tacoma would normally sell for $35,000, which is $9,000 more than the dealer is asking – that’s the largest amount below market value of any vehicle shopped during the investigation. The seller discloses that the silver Matrix has been in an accident and repaired. It’s a local BC car, which has been fully inspected including a wheel alignment. The dealer discloses that two doors on the right side were replaced; everything else is original. “We changed with the same color doors” from another car. The Matrix has undergone a Ministry of Transportation rebuild inspection. A salvage vehicle undergoes a three-step inspection process by government-licensed inspectors before being re-labelled as a rebuilt. The dealer showed a picture of the damage and says they painted the two doors after installing them to blend them in with the rear quarter panel, and that’s it. The Matrix is taken for a road test. APA’s inspection filmed by W5 confirmed the right-side doors are from another Matrix, and revealed significant damage to the A, B and C pillars around the door openings. The Matrix has been T-boned in a heavy right-side impact. Damage to the B-pillar was significant and it could have been replaced. Instead, it was hammered more or less back into position and a very liberal application of body filler applied. The finish is below commercially acceptable standards with small dents, body filler and grinder marks in refinished exterior panels. Behind the interior trim on the inside of the B-pillar are unfinished holes made by the body shop to install their pulling equipment. The C pillar and both rear quarter panels have excessive body filler. In the event of a future side impact on the right side, protection to occupants would be compromised. The dealer grossly misrepresented the extent of the damage to the Matrix, and may have underreported the damage to the Yaris, when he said the air bags did not deploy and inferred damage was only to exterior and “bolted” panels. The rebuild inspection paperwork obtained by W5 indicates damage to three sides of the Matrix affecting 6 body panels. On October 12, 2012, Minit-Tune and Brake started the mechanical inspection at 17:55. They completed the inspection only 8 minutes later at 18:03! There is no note regarding Structural Integrity of the Unibody (the badly damaged B-pillar) – just a checkmark for a Pass. The dealer offers a six-month engine and transmission warranty from Coast-to-Coast Warranty included in the purchase price. It can be upgraded to 12 months for $199 (the cheapest comparable upgrade of the investigation). At his location, the dealer disclosed that the Civic Coupe is from an ICBC auction. The factory warranty was cancelled after the accident. The dealer discloses that the bumper, hood, a headlight and radiator were all changed after the collision. There was no other damage and the engine was not touched. The dealer showed the shoppers the paperwork on the Civic Coupe. The mystery shoppers borrowed the Civic for a road test, and W5 filmed the condition of the vehicle with the assistance of the APA expert. The car was involved in a significant frontal impact. The hood and both fenders are from another dark blue Civic. The radiator support has been replaced with one from another car and it's been lightly welded onto the front of the car. The welds are poorly finished, already corroding, and do not duplicate the integrity of the original assembly on the car before impact. There is excessive body filler on the A-pillars (up to 2000 microns measured). The windshield has been replaced. After the visit, W5 obtained the structural and mechanical inspection reports. In May 2012, United Auto Sales in Surrey bought the car for $4,000 at a salvage auction. In June, it underwent a wheel alignment at G&A’s Car Clinic in Delta BC. On June 14, 2012, a Structural Integrity Assessment Report was completed at Cale Collision Rebuilders in Surrey. The document appears incomplete. Most exterior cosmetic parts (hood, bumper, left fenders) appear, but the structural work is not documented. The second diagram from the right appears to be a plan view of the bottom of the vehicle. It totally omits the structural work to the front subframe. The right side fender and windshield have been omitted from the list of replaced parts. Damage to the right-side windshield pillar is missing. In the boxes checked, the frame, unibody and welds are all given a Pass; the APA inspection discovered defects for all three items. The second sheet from Cale is more complete. It indicates that the inspector started at 9:00 and worked on the Civic until 2:00 p.m. on June 14 – the time stamps are not a reliable indicator of the work actually performed. There are inconsistencies between the two inspections: at G&A Car Clinic the rear brakes are listed as drums. At Cale, the inspector has them listed as discs. The odometer reading at both shops is identical at 58,682 km. This suggests the car was towed from one shop to another after the inspections, as the reading could not have stayed the same after a drive from Delta to Surrey; perhaps the two inspection reports were filled out at the same location but attributed to different entities. The 2007 Civic is a theft recovery, which was disclosed by the dealer. It too was bought from an ICBC auction. The dealer says it is a “no accident” car. The APA inspector notes the interior is rough and a front bumper has been repainted. There is no evidence of significant collision damage. A very nice facility with a couple of hundred very nice-looking vehicles, well-detailed, with a high representation of recent model years of domestic and import cars and trucks. Well-priced vehicles. Prices in the ads are about $1500 lower than the prices marked on the vehicles at the lot. The salesperson says it’s no problem -- the current price is the lower one in the ads. The salesperson readily discloses his 2012's are daily rentals: “Everybody will tell you it's a leased car, but… it's a rental 99% of the time.” The manufacturer’s warranty continues to apply to rentals. The APA inspection confirms the 2012 beige Altima has a repainted front bumper, fenders and hood and is a former daily rental. The dealer has an in-house repair facility to recondition vehicles, and service customer vehicles. The salesperson says all cars are subject to an inspection prior to being put up for sale and they run a history search. The oil is changed and if necessary the brakes are renewed. The vehicle is delivered ready to go. APA’s expert noted that new tires had been installed on many vehicles on the lot. The APA shoppers asked about a Civic. The seller checked to file and disclosed claims for $2200 and another small claim, nothing major. It’s a local Vancouver car. The seller discloses a small frontal impact to the Elantra Touring. The APA inspection shows that it has been painted at the front after a small impact that was non-structural. (All representations were accurate, as confirmed by the APA inspector). A third-party inspection is possible either on-site or remote, with a deposit. This dealer performed well in a previous APA investigation. A tired looking facility with a broad mix of vehicles including older Dodge Caravans, a Buick Century and early 2000s Mazda Protegé5. The documentation charge was introduced subsequent to the APA’s previous visit; there used to be none. The APA inspection of the Altima determines it is almost completely repainted, including the two front fenders, hood, front and rear bumpers, right-side doors and quarter panel. The brake rotors are rusty and grooved. The seller permits an inspection at a local shop chosen by the buyer. The ads show the VIN numbers (nice touch), but some mileages are misrepresented. Failure to disclose former daily rentals, and the extra charge of $395 is not mentioned in dealer advertising. Regarding the 2010 Corolla, the seller declares the advertised mileage of 100 km is wrong: “It's 80,000 km, they made a mistake.” APA's expert reports the bumper on the 2010 Corolla is cracked, and there is some damage to the air conditioner condenser from road debris. The condition is consistent with the declared mileage of 80,000 km at the dealership. The seller says his 2011 and 2012 cars are fleet and lease vehicles. He will pull out the vehicle history reports when the shoppers are ready to buy. Both Corollas appear to be former daily rentals, which was not disclosed by the dealer. W5 later confirmed that one of the Corollas is a former daily rental. A pre-purchase inspection is permitted at a franchised dealership. When contacted by W5, the seller explained that a “fleet vehicle” includes daily rentals and that extra charges are an industry practice that is sanctioned by the regulator in B.C. The ads were cloned by an identity thief or automatically retransmitted from the dealer’s website to third party sites like craigslist. On the phone, the seller tells the APA shopper the car has been rebuilt after a rear impact and it’s a “very clean car, like brand new.” The seller’s location turns out to be a body shop. The seller claims the Fit was his personal vehicle. He replaced the rear bumper and hatch after he bought it, and that was all. “The front is OK, the rest is OK. We changed with parts from another car and painted the rear up to the doors.” Although it's his personal vehicle, the seller is prepared to offer a three month warranty from his shop and suggests that they declare a lower purchase price of $6000, but doesn’t expressly say why (perhaps to reduce the sales tax as a courtesy to the buyer, or perhaps to avoid reporting some of the income he is making from this business). The seller offers to transfer ownership at a car dealership down the street. The APA expert determines the car has undergone a major rear impact and a frontal impact, possibly during the same incident. The rear bumper and hatch have been replaced. The rear frame rails and floor have been repaired (structural). The trunk floor crumpled about 6 inches in the impact and has been restretched – the floor is still rippled. The trunk is collecting water, and the floor has been covered with a beige undercoat on the outside to cover the repairs. The water leak will bedevil the new owner if uncorrected. In coastal BC’s climate, mould and rust are inevitable in the areas of the vehicle where humidity collects. There is evidence of damage to the front of the vehicle. The front bumper has been replaced. The radiator and condenser are aftermarket items and the coolant overflow bottle is inside the passenger compartment. The windshield has been replaced (possible air bag deployment). The car is running on winter tires (Michelin X-Ice Winter tires made in 2006 – three years before the car). The CarProof report reveals this is an Alberta vehicle, written off and imported to British Columbia where it was recently issued a rebuilt title. This was one of two sellers offering a write-off from Alberta. The BC Motor Vehicle Sales Authority confirmed no dealers are registered to work from the seller’s address. Neither of the above phone numbers is in the VSA database. Failure awarded for exaggerated DOC charge and misrepresenting a daily rental vehicle. The dealer has a large, attractive inventory of recent vehicles, which the seller says have been inspected and serviced. The inventory includes Asian, domestic and European makes (two Toyota Tundras, two Range Rovers, F150 pickups). Excellent vehicle detailing, waxed finishes, almost no vehicles repainted. Some vehicles have worn tires. The seller demonstrated good car knowledge and offered good advice, but was misleading regarding extra fees, and the former daily rentals he was selling. The seller claims the 2012 Kias were traded in to Applewood Kia, who own Pacific Auto Source. APA’s expert believes they may be former daily rentals. When asked about the “no smoking” stickers on penalty of a $250 clean-up charge that are pasted to the windows on one of the Kias, the salesperson answered that, “The previous person who had it didn't want anyone smoking in the car.” The CarProof report obtained by W5 subsequent to the visit reveals the 2012 Kia is a former daily rental. A pre-purchase inspection is permitted on-site. After learning of the results from W5, the dealer responded that all customers receive a vehicle history report at the time of sale which would have corrected the error on the disclosure. The salesperson worked at the dealership for only a short time and is no longer with them. Failure awarded in part due to exaggerated fees not included in the dealer’s advertising. After learning of the result the dealer promised to introduce all-in pricing. Vehicles are purchased at dealer auctions. Cars like the one-year-old 2012 Nissan Altimas for sale were traded in by multi-million dollar businesses. Buyers of late model used vehicles save on depreciation and the significant additional charges involved in buying a brand new vehicle (good information). The seller states the 2004 Corolla is a theft recovery and it has not been involved in any collisions. APA’s inspection of the Corolla shows that the fenders, front bumper, both light boxes radiator and condenser have been replaced. There is some minor structural damage to the frame rails forward of the wheels. One tire is worn out. The dealer says the APA buyer can check the vehicle history report after signing their name or putting their initials on paper (not clear if the paper is an offer to purchase). Vehicles come with a minimum 90 day warranty. An inspection by the buyer is permitted.